Shaun oversees investment research, strategy and implementation for our client portfolios. In addition to his vast experience, very few advisors rival Shaun's enthusiasm for portfolio construction, wealth planning and ultimately client success. After devoting 20 years to managing investments for High Net Worth Individuals, Foundations, Pension Plans and Corporations, Shaun joined TD Wealth Private Investment Counsel in 2016. He started his investment career with London Life Investment Management where he developed and managed a number of unique investment strategies. In 1998, Shaun left London Life with five partners to establish Highstreet Asset Management, a boutique investment management firm centered on doing two things very well, client service and investment management. In recognition of its strength in these areas, the firm received two Chamber of Commerce Business Awards prior to its 5th anniversary. As Chief Investment Officer, Shaun led a team that managed over $5 billion of investments focused on achieving specific risk and return objectives. 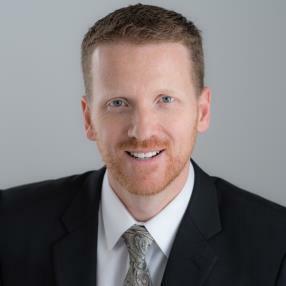 In addition to his investment management experience, Shaun has completed his undergraduate studies in Economics at the University of Western Ontario, holds the Chartered Accountant and Chartered Financial Analyst designations. Beyond work, Shaun, his wife Susan, son Aaron and daughter Lindsay are all very active in athletics enjoying the social aspects as much as the competition. Aaron is in his first year of university where he is studying Sport Management while Lindsay will be heading off to university next year where she plans to focus on Health Sciences. Shaun continues to be active in the community devoting his time to various non-profit organizations and serves on the board of both Make-A-Wish Southwestern Ontario and the Thames Valley Children Centre. Tammy is passionate about ensuring an excellent client experience. Her role has vast responsibilities, which includes the handling day-to-day operations, answering account-related inquiries, performing portfolio management support including trading. She also helps in preparing for meetings and reviewing portfolios, assisting with insurance administration and client events. Tammy joined TD Wealth Private Investment Counsel in 1996 and has over 25 years of experience in the financial industry. She has a BSc in Statistics from the University of Western Ontario, and completed her Chartered Investment Management (CIM) certification through the Canadian Securities Institute in 1998. She is married with two teenage children who are heavily involved in sports and you will find her in an arena or on the baseball and/or soccer field cheering them on. Mary Lisa has been a Private Client Service Associate with TD Wealth Private Investment Counsel for 20 years. Previously, her extensive experience in finance and wealth management led to roles in Retail Banking and the Private Trust division. Mary Lisa’s primary role is to interact with clients in day-to-day inquires and resolution, to schedule reviews/meetings, and to handle client transfers. As well, she supports several Portfolio Managers in an overall account administration support function. Mary Lisa is a Graduate of Fanshawe College in London, Ontario.